"Never doubt that a small group of thoughtful, committed citizens can change the world; indeed it’s the only thing that ever has.” Margaret Mead. Could you imagine your life without the love and companionships of animals? I couldn't. Animals have always played a huge part in my life; best friend, companion, accomplice and confident. Growing up, I roamed the Australian outback on my horse, chased imaginary kangaroos with my dog and curled up at night with a cat, secure in the knowledge that their love was unconditional. Even now, there is nothing like the greeting from a wagging tail after a long day dealing with humans, or being woken each morning by a furry friend, with "tuna breath" wanting his breakfast. I am sure my values and beliefs have been shaped by the addition of the animals in my life and like many others, I try to treat animals with the respect and dignity they deserve. Being a responsible pet owner also includes sterilization and vaccination whilst providing a safe and loving environment. However, there are animals which do not have a loving family to belong to, health care, a safe place to sleep or a belly full of warm food each night and sadly, every year thousands of pets find themselves on the streets, abandoned. Unnamed and unloved they roam and scavenge for food in their endless bid to feed their offspring or sustain their own survival. In western countries there are both governmental and non-governmental organisations devoted to animal welfare and the lost and abandoned animals who are lucky enough to end up in shelters are then spayed or neutered, vaccinated and adopted. Despite these organisations best efforts through social awareness, it is estimated that over a quarter of a million healthy dogs and cats in Australia are euthanized each year so our streets can remain free from homeless animals – out of sight, out of mind! It is not hard to notice the stray and abandoned dogs, puppies, cats and kittens which inhabit the streets and especially the temples of Asia. Many of these animals are malnourished, suffer from diseases and even end up as victims of the meat trade. Not a pretty picture for the tourist industry! 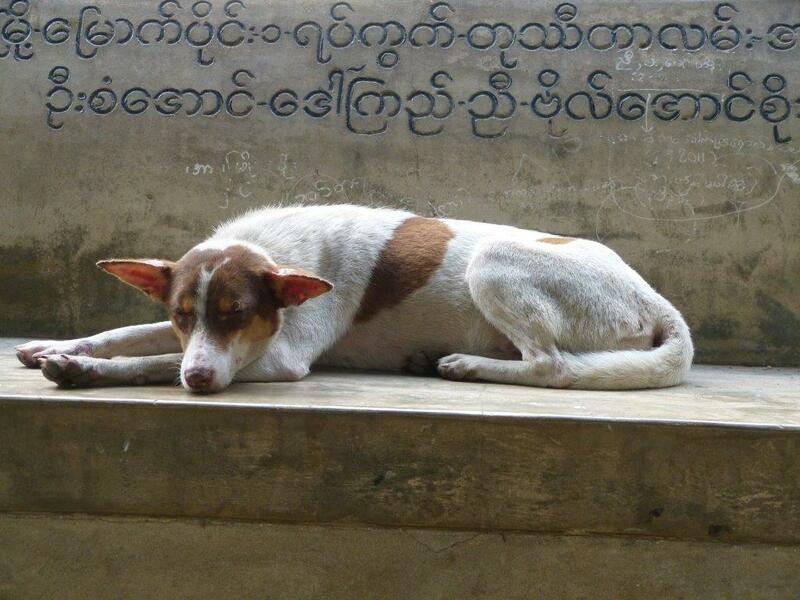 It is easy to criticise and offer suggestions of euthanasia for all these stray animals, however it must be remembered that in many Asian countries Buddhism is practised, which has a basic concept of non-harm directly or indirectly. There are also not the finances to sterilize and vaccinate all the dogs and cats without the help from philanthropic organisations. Volunteer tourists who have a genuine love of animals can choose from any number of projects to support. Recently I had the opportunity to visit and meet the staff and volunteers of one such organisation while in Thailand. Care for Dogs Foundation (CfD) founded by Karin Hawelka, nearly 9 years ago, has made a significant impact in the Chiang Mai area through its work with dog welfare and the population of stray street dogs. 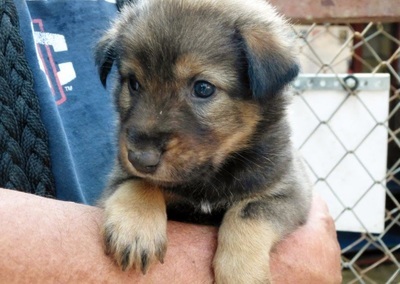 By working closely with monks and nuns from the nearby temples, the foundation also facilitates a program of sterilizing, rescuing and rehoming dumped puppies. Care for Dogs Foundation and Worldwide Veterinary Service (WVS) have recently joined forces for the benefit of animals in Thailand and around the South East Asia region and offer a “fee free” volunteer program, although donations are always appreciated. This is the perfect opportunity for traveler animal lovers to “give back” to the Chiang Mai community. Volunteers are asked to make a minimum 4-day commitment, beginning with Wednesday training, and running through to Saturday. If you are unable to volunteer for 4 days minimum, you are still welcome to schedule an appointment for a ‘socialization tour' which allow visitors to learn first-hand about the work of CfD, while giving some extra “TLC” to the puppies. This socialisation by volunteers greatly increases their chance for a successful adoption within the Chiang Mai community. Kataleen, a lawyer from The Netherlands was on her third visit to Chiang Mai and always included volunteer work with CfD. As we took the dogs for a walk in the newly established walking park, she told me how she looked forward to spending time each day, walking, washing and grooming her charges. Volunteering also gave Kataleen a chance to meet other volunteers from all over the world who shared a common love - dogs. 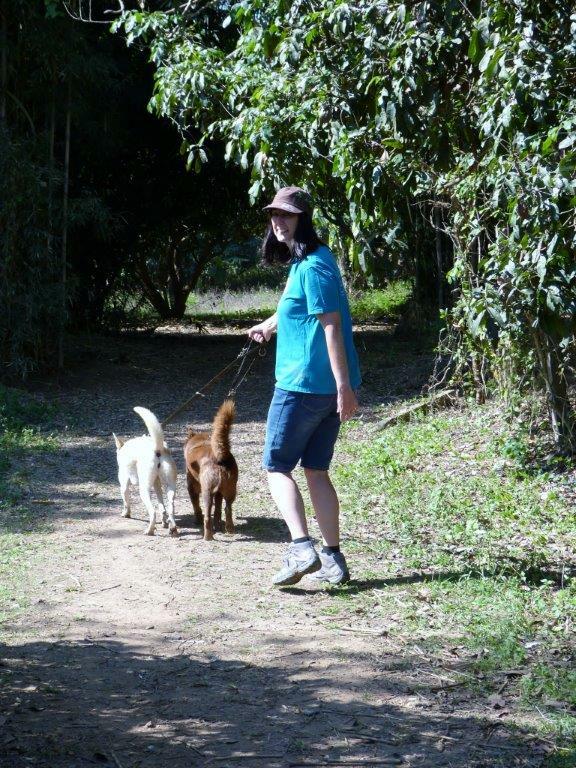 Two vibrant young women from South Africa arrived to select a companion for their dog. 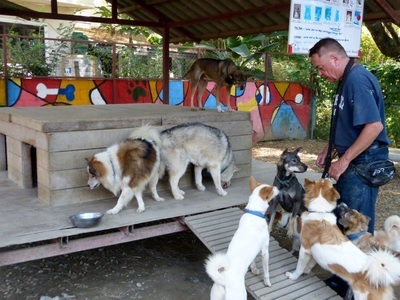 They were working as school teachers in Chang Mai and were past customers of the CfD and appreciated the efforts of the staff and volunteers who care for the dogs. A small white terrier would soon be finding a new home with these compassionate young women. If you have a few spare days and want to make an important difference in the lives of street and temple dogs in Chiang Mai, then don’t hesitate to contact Care for Dogs Foundation. There is certainly plenty of unconditional love to go around.